There will be times where you control other characters, Nomura says. 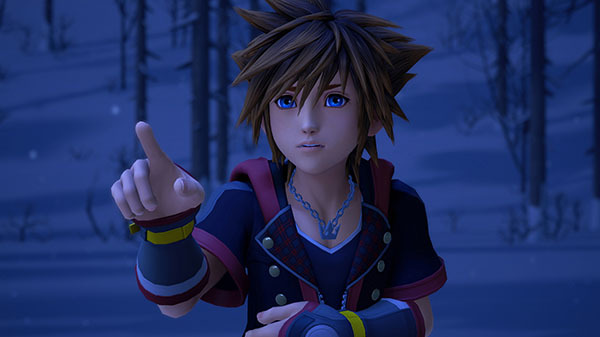 IGN and Game Informer have published new interviews with Kingdom Hearts III director Testuya Nomura, who discusses various topics ranging from the game’s delay to 2019, Final Fantasy characters, Remy from Ratatouille, and more. “The timing of release that we were actually looking at, we were told by many people, including hardware manufacturers, marketing teams, sales teams that it just wasn’t a good timing in the year,” Nomura said regarding their previously planned 2018 release date, explaining that the differences in holiday lengths and how stores operate in different regions were a concern. “…For Kingdom Hearts III, the [Square Enix] western offices had requested to release the game as simultaneously as much as possible between Japan and America, so we were no longer able to just think about Japanese issues and retail situations,” Nomura said. The positive of the delay is that the team can now spend more time to polish the game before its release, Nomura said. “…We pretty much have finished creating all the gameplay within that world, but we’re just not finished with the cutscenes yet,” Nomura said. According to Nomura, the scene in one of the recent trailers where Remy from Ratatouille appears is a cooking minigame. Nomura said that there will be a lot of these in the game and in this one you collect ingredients throughout the game and take them to Remy to cook a meal. If you succeed, your stats will increase for a limited period of time. “There will be some times in the game where you’re able to control characters other than Sora, but I just won’t say which character at this moment,” Nomura teased. Kingdom Hearts III is due out for PlayStation 4 and Xbox One on January 25, 2019 in Japan and Asia, and January 29 in North America and Europe.